With expertise in self managed super fund (SMSF) accounting, compliance, trusts and personal portfolios as well as people management and client relations, Carsten Shaw, a CPA, reviews and manages Dixon Advisory’s personal portfolios and trusts. Carsten’s responsibilities include training, mentoring staff and ensuring clients receive quality services among trusts and personal portfolios. Carsten believes client-focused service and value for money are the key ingredients to high quality service. 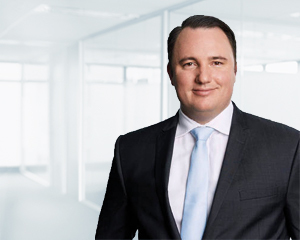 Carsten started at Dixon Advisory in Canberra in 2005 and moved to Melbourne six years later to assist in the management of the superannuation service before returning to Canberra to oversee the trust and portfolio service. “I’m very fortunate to work for a firm where the focus is on clients and staff. I’ve been mentored by some of the best people the industry,” he said. Before joining Dixon Advisory, Carsten held a wide range of roles within the hospitality and retail sector. Carsten has a Bachelor of Commerce from University of Canberra and is a member of CPA Australia.